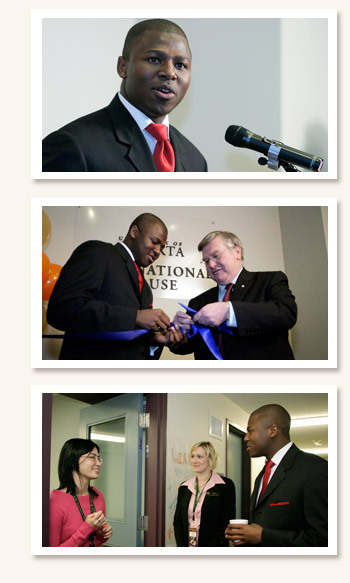 The Ubuntu Institute was founded by Prince Cedza Dlamini in Boston, Massachusetts in 2005. Any good idea requires the support of many people to come to fruition, and the Ubuntu Institute is no exception. From its inception in Boston, the Institute benefited from hundreds of contributions from people in New York, Washington DC, South Africa, Swaziland, Dubai, the United Nations 2015 MDG network and the Global Peace Initiative of Women network. The organization aims to achieve its mission and vision in a variety of ways, including the empowerment of young people as a catalyst for change. Young people are every country’s future. Youth are full of ideas, energy, and optimism. Young people can be powerful agents of change. Unfortunately, many young people are not engaged or allowed to be engaged in national government policy-making; many are disillusioned with politics and policy-making or are apathetic – not as involved as they should or could be. The Institute has evolved from being just a youth organization to being a grassroots-driven organization, seeking and implementing indigenous, culturally sensitive solutions to social problems in Africa. The evolution came about after two consultative Southern African Development Community (SADC) conferences with youth leaders who complained that many initiatives on the development agenda didn’t care much about the voices and concerns of the youth, especially from marginalized communities. After two successful years doing research in the marginalized communities, the Ubuntu Institute has developed several programs in HIV/AIDS, human rights, gender and women empowerment, and sustainable development, to name a few, that are focused on supporting marginalized communities in rural and semi-urban environments in Southern Africa. Fortunately, in the first year of operation, the Ubuntu Institute attracted funding from a key partner, the Ford Foundation, and other donors including the WK Kellogg Foundation, South Africa’s Industrial Development Corporation and the Umsobomvu Youth Fund, a South African government fund. The organization is now fully operational in Pretoria, South Africa, conducting research in HIV/AIDS prevention, gender and women empowerment initiatives and youth leadership conferences. The organization is driven to become one of the most recognisable non-profit brands in Southern Africa and around the world.